Office lunch is often a few Tic Tacs and a dry salami sandwich, a $12 bucket of kale from some overrated salad shop, or a 3lb burrito. But with a little foresight, your midday meal can be totally tasty, healthy, and economical. All of these recipes below can be easily doubled, made in a batch, and frozen on a Sunday night to be reheated throughout the week. Never eat a sad desk lunch again! These come together in about 10 minutes if you have pre-cooked chicken (20 if you don't, so still not bad). And the riper the avocado, the better. Mix it in with the chicken, top with cheese, and wrap it up. Pan-fry for a minute or two and freeze. Lunch is here. 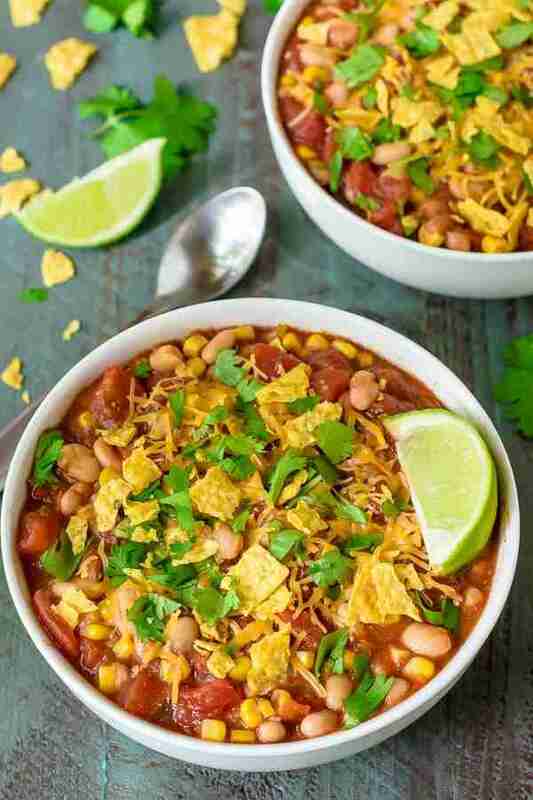 Tacos just got a lot more versatile with this easy taco soup recipe. Make a big batch, split it into a bunch of individual containers, and freeze 'em up. The ingredients are similar to a chili, which means it freezes well. Once defrosted, top it off with some fresh avocado and cilantro, and it'll taste just like it did the day you made it. Recipe here. This simple chicken noodle soup develops in just under an hour, but it will taste like you slow-cooked it for hours. Recipe right here. 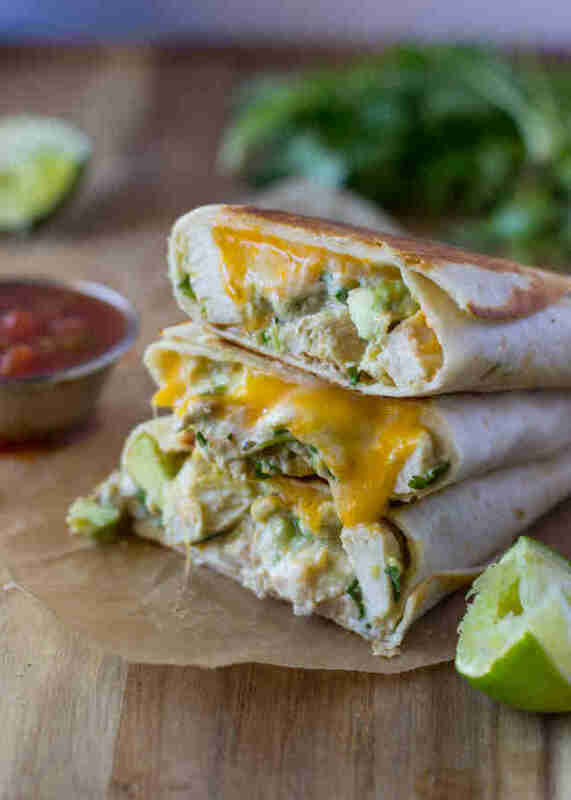 These chicken burrito wraps use mojo sauce, which is made from garlic, serrano peppers, lime juice, olive oil, and cilantro. Double, or even triple the recipe and you'll have a week's worth of lunch ready in 30 minutes. They reheat right in the microwave. Get the recipe here. If you're a freezer-cooking novice, know that chili is one of those things that you can freeze for what seems like forever and it will still reheat perfectly. This chili is made with beef, hot Italian chicken sausage, and even has optional garlic-cheese croutons for topping (though those probably won't freeze well). Recipe here! 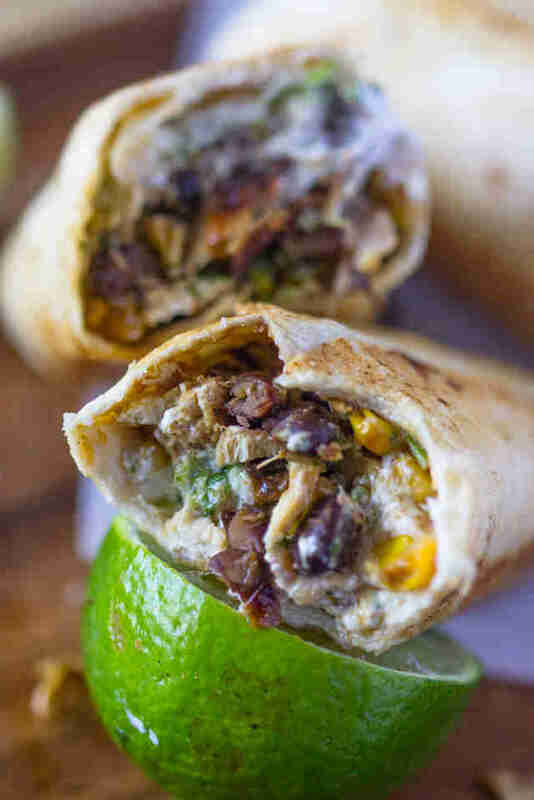 These freezer-friendly veggie burritos are also gluten-free. They aren’t totally vegetarian though, since the quinoa is cooked in chicken broth for flavor. That said, substitute with water and you're good to go. Check out the recipe here. 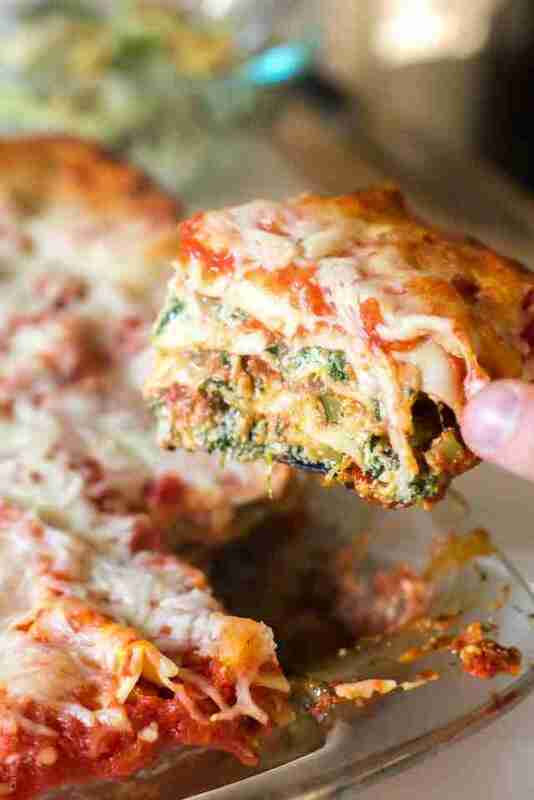 Normally lasagna and healthy don’t go hand in hand, but this one is layered with lots of fresh zucchini, spinach-ricotta, onions, and tomato sauce. Obviously there is mozzarella, but you can't have a lasagna without cheese. You just can’t. Get the recipe here. 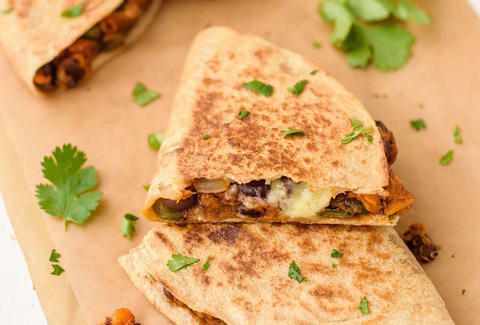 These hearty quesadillas come together in roughly 30 minutes with a sweet-and-smoky flavor. Make a big batch with the recipe here. Dara Pollak is a freelance writer and recipe creator. She likes her pasta with a side of bacon. Follow her at @theskinnypignyc.